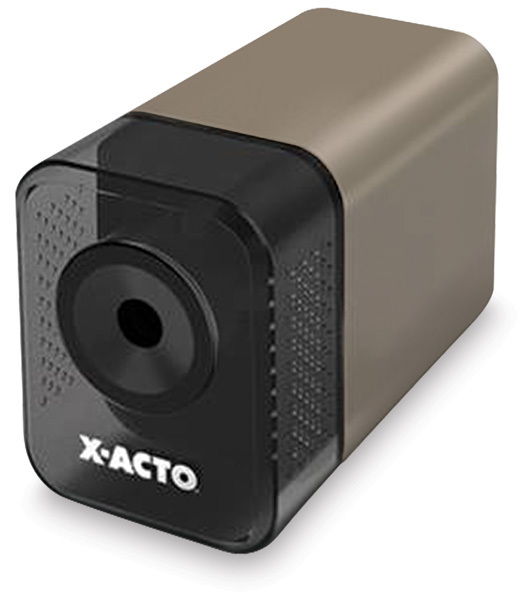 X-Acto Electric pencil sharpeners are designed for demanding office, studio, and classroom environments. They are quality tools that will last for many years. The X-Acto 1800 Electric Sharpener is the finest home/office sharpener available, in a compact style at a truly affordable price. All-steel cutters sharpen standard size pencils with a pencil stop for economy.